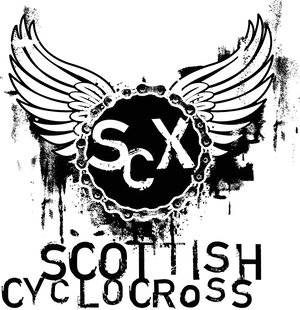 If anyone's interested in ordering some SCX kit (jerseys, gillets, shorts etc.) please let me know. If there's enough demand, we'll get an order put together soon. Remember we still have caps, t-shirts and car stickers galore, so if you fancy any of these, give me a shout. Hi I'm after a cap will take one off your hands at ballater or strathclyde if your about ? Who am I looking for ? Fiona - I don't have any large pink t's, but I have large navy, medium pink or mens small red which might work. Stephen - I don't have any medium mens t's, but some of the sizing is a bit iffy, so you might want to try a larger size to see if it works. I'll be at Strathclyde so I can bring things along then for folks to try and buy. I'm chief comm so you should be able to find me. I would like to purchase a medium cycle top and medium gilet to add to your order. I will take a T if it fits and a sticker too. Are there any costs for the cycle kit... could be a wee xmas pressie in there too! It's Jac you're looking for at Strathclyde Park for kit. T-shirts are pretty snug, I'm a medium in just about everything, but a large in the ones we got. Yes, as Martin's said, it's Jac you need to be looking for, not Fiona. I'm chief comm at Strathclyde, so you'll see me about all day.